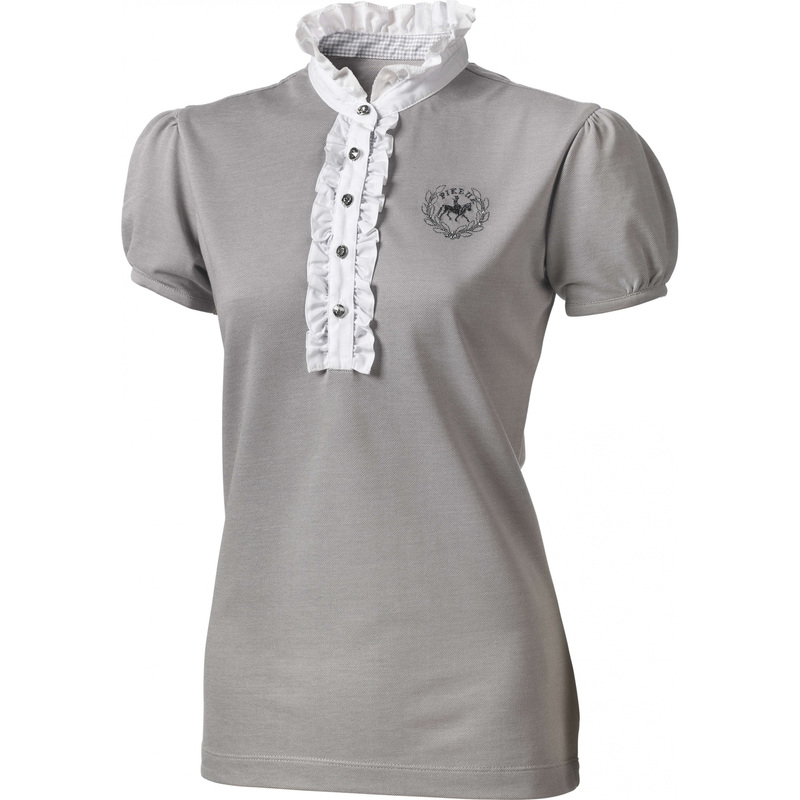 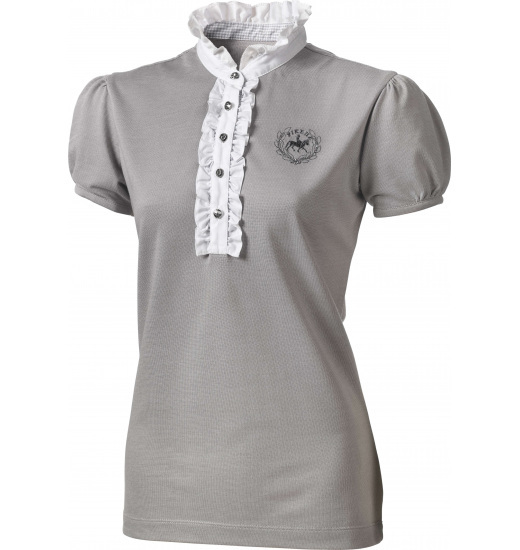 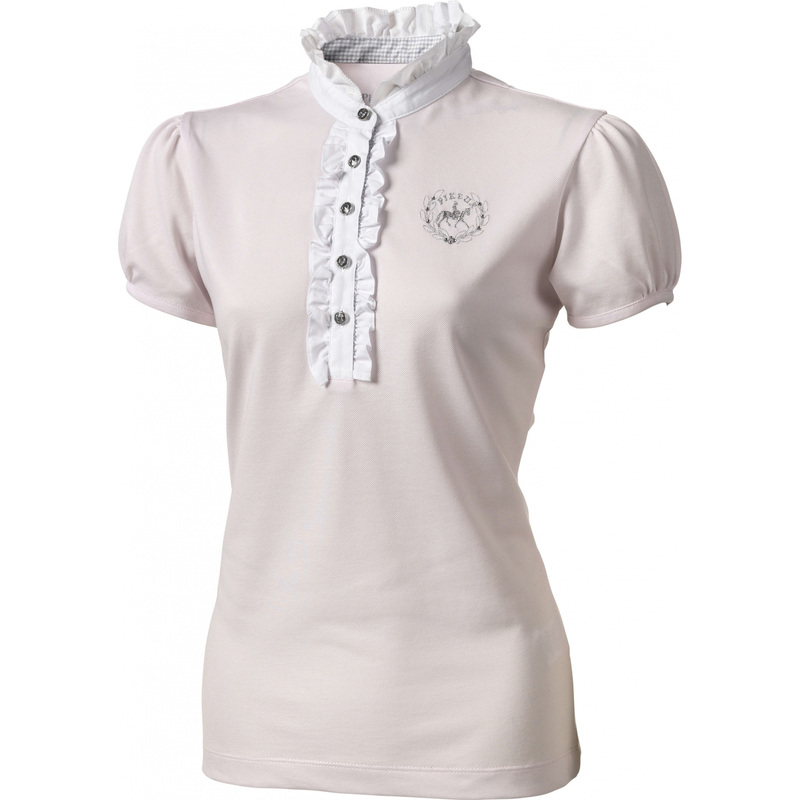 Extremely fashionable ladies show shirt with stand-up collar and frill. 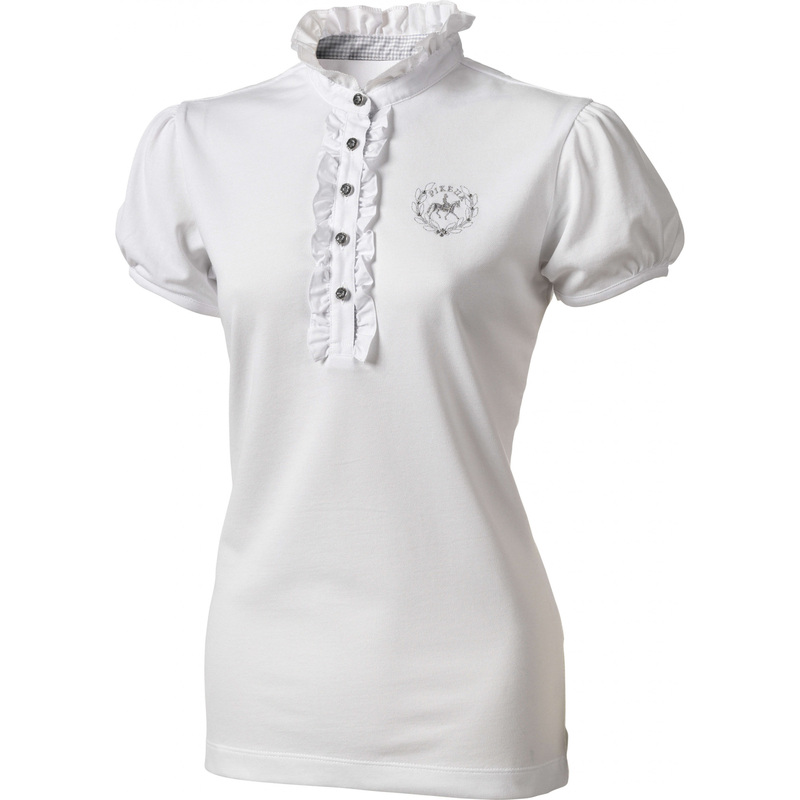 It has puffy sleeves. 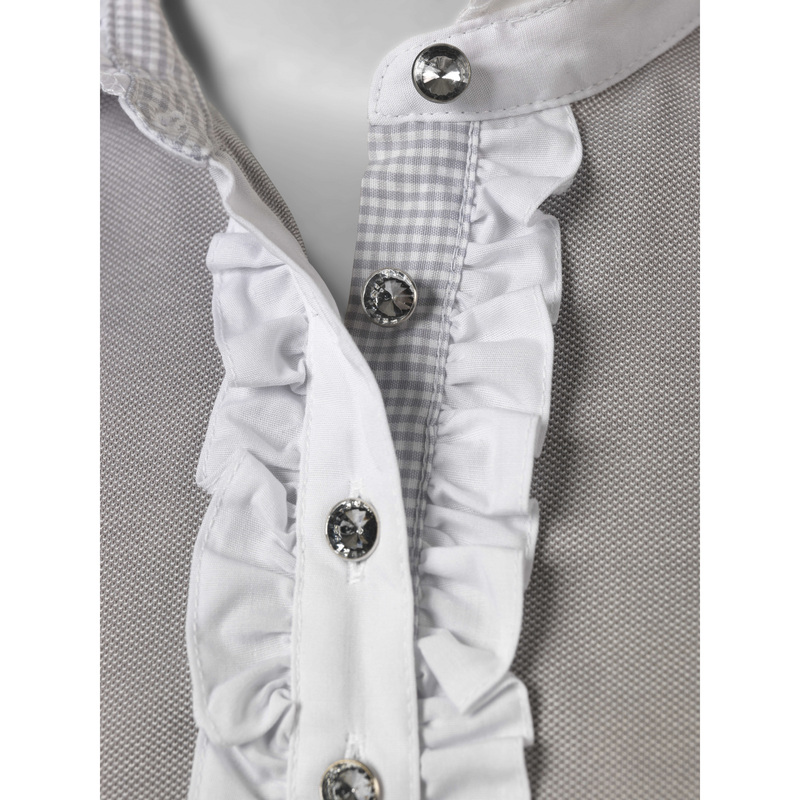 Stand-up collar and a button-stay lined with the elegant finely checkered materials. 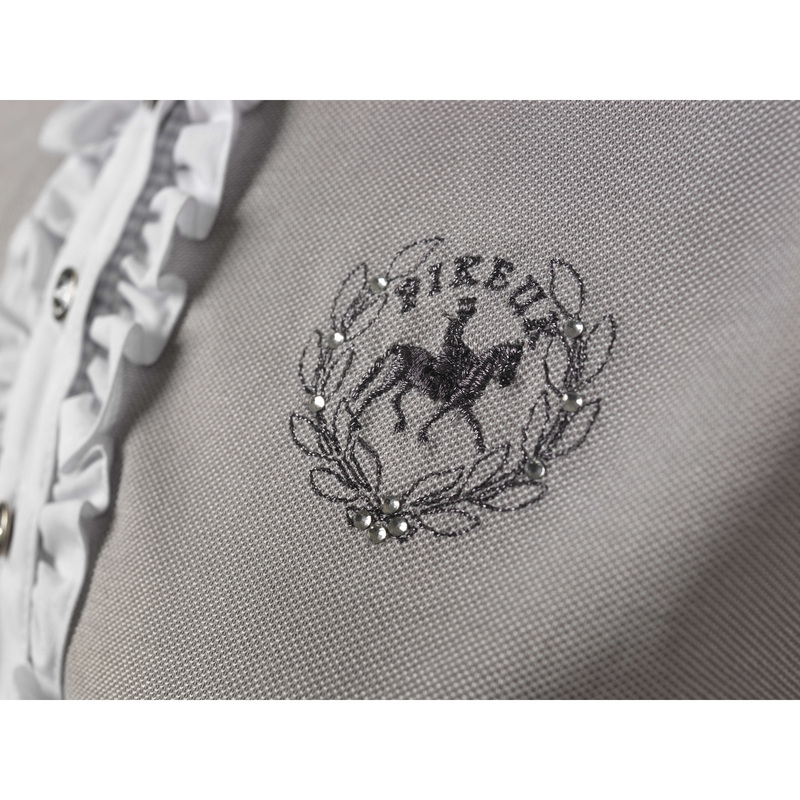 Adorned with decorative crystal buttons, has a delicate embroidered PIKEUR logo on left chest .